We call it Good Friday. It might be considered an oxymoron given what happened to Jesus more than two thousand years ago. He was falsely arrested, savagely beaten, mercilessly mocked and crucified without apology. He looked out and the crowd of more than 5,000 that he had fed were not there. He looked down and the women did not include the woman caught in adultery. He looked around and not one of the ten lepers was present. It seems that it did not matter what he had done or what he was doing now. Today, we care that he was crucified but this was not so on that day. Still, it is good because of what he did for us– not what the disciples or the Pharisees or the Roman soldiers did to him. It is good because of the sacrifice that was made. It is good because of the reason for that sacrifice. He died a lonely death so that we might be friends with God and a part of God’s family. He stretched his arms on a cross to bring us all into the household of faith. Jesus came to save humanity. This is the moment. This is the hour that salvation has come to us. It’s a good day and a good time. 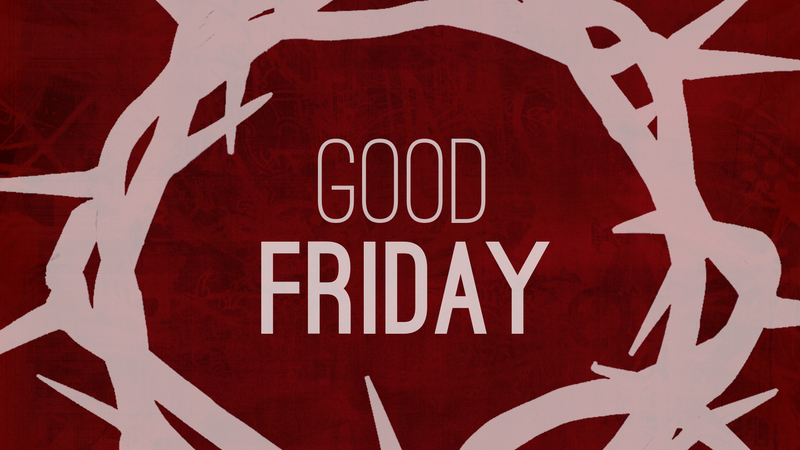 Thank God for Good Friday!